When working with JNS Remodeling, no bathroom project is ever exactly the same. We work with our customers, one on one, to determine their custom designs then apply them to bring their dream specs to functioning reality. JNS Remodeling uses only the finest materials - ceramic, porcelain and natural stone tile, vinyl flooring, name brand fixtures, and more- to ensure long lasting functionality blended seamlessly with your individual style. From flooring and tiles, sinks and showers, cabinets and colors, fixtures to accents, and more, we have you covered from start to finish. 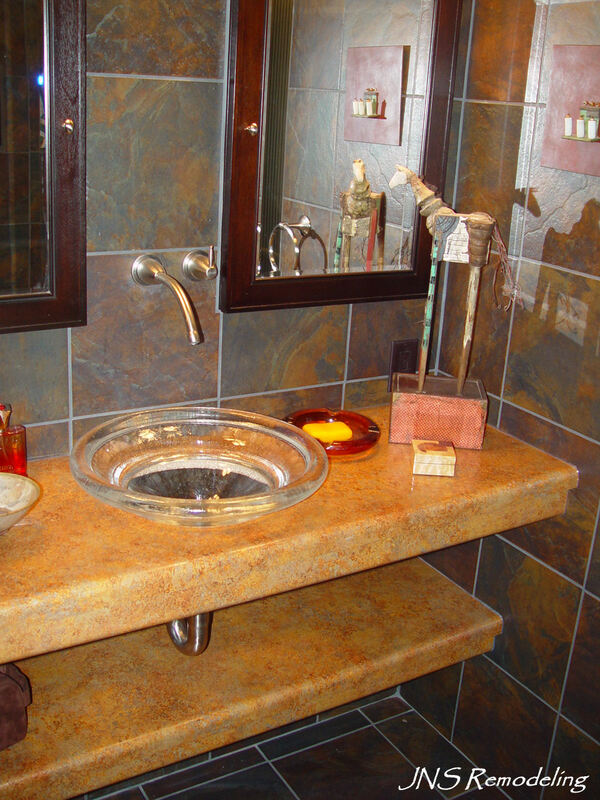 We can transform even the most basic powder room into a comfortable, custom sanctuary that adds overall value to your home. Whether you’re looking for an update or a complete overhaul, JNS Remodeling has the experience, tools, and manpower to get the job done right.